Has the novelty of the "November Nine" worn off? According to Zap2it.com, ESPN's broadcast of the World Series of Poker main event final table last week averaged a little over 1.56 million viewers, which was down substantially from last year. 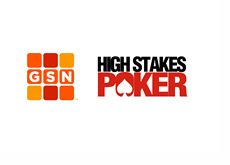 The strategy of pushing the final table back to November certainly paid off in 2008, as viewership was up over 52% despite the fact that there were no "big" names involved. There was much rejoicing over this number, and the (easy) decision was made to continue using the "November Nine" format in future years. Many people figured that Phil Ivey's final table run would lead to even an stronger ratings number in 2009, but the total number of viewers actually dipped by about 225,000. In 2010, an average of 1.56 million viewers ended up tuning in for the main event final table broadcast, which was only a bit better than 2007's numbers. ESPN officials have to be at least a bit concerned with the drop-off in ratings this year. It will be interesting to see if there are any changes in 2011..